REV. ARTHUR L. HAHN, is a 1957 graduate of Lansdowne-Alden High School. He received his BA in Psychology at Muhlenberg College, Allentown in 1961 and his M.DIV. at the Lutheran Theological Seminary in Philadelphia in 1964. He was employed as Interim Pastor at St. John’s Lutheran/UCC Church in Auburn, PA from 2003 to 2006. 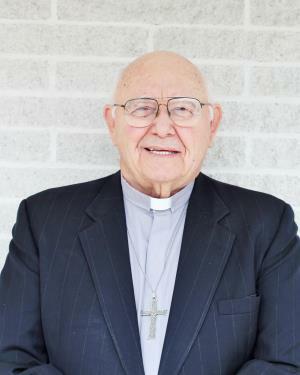 Prior to that he was the Pastor at Trinity Lutheran Church, Topton from 1976 retiring in 2001; St. Paul’s III Lutheran Church, Palmer Township, Easton from 1967 to 1976 and Grace Lutheran Church, Norristown from 1964 to 1967. He is a life member of Palmer Municipal Fire Department, Easton and was the former Chaplain of Northampton County Prison and Palmer Township Municipal Police Department. He was the former Dean of the Bethlehem/Easton District of the ELCA. He was a Rotary Club Member of Kutztown from 1994 to 2006; former member of Topton Lions Club from 1978 to 1992 and former member of the Topton Boro Council, where he served as president from 2006 to the present. He was a member of The Brandywine Minstrels for 15 years, Kutztown Community Choir for three years and was a Choir Member of Trinity Lutheran Church and other churches where he was called as Pastor. He is presently a member and Supply Pastor of Trinity Lutheran Church, Topton. He and his wife, Nancy C. (Wood) Hahn, reside in Topton and have two children, Ellen M. (Hahn), wife of Michael J. Grossman and Stephen A. Hahn, husband of Heather L. (Wardell). Rev. Hahn has been assisting the families we serve as our Chaplain and Family Grief Counselor and also, a Funeral Assistant since 2001.